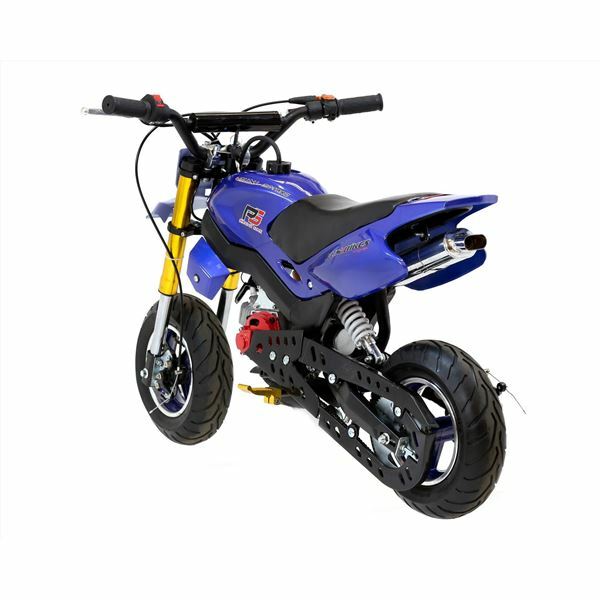 The Super Motard is a cross between a mini moto race bike and a mini moto dirt bike. 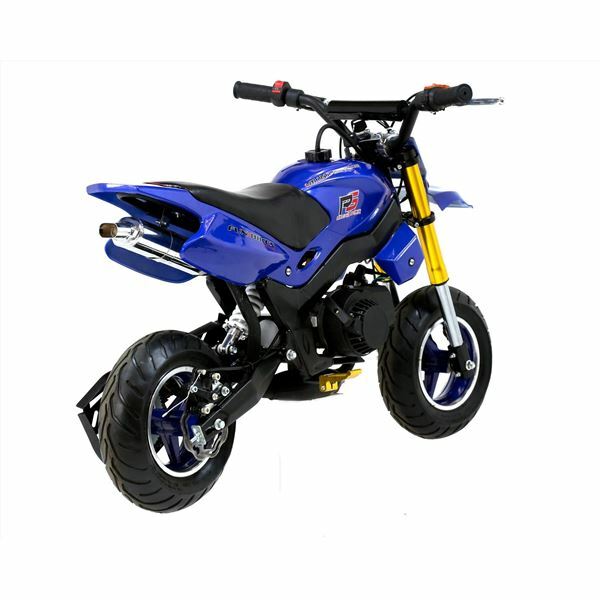 The bikes are designed for racing around on tarmac and flat ground, with the odd gentle off-road section thrown in. 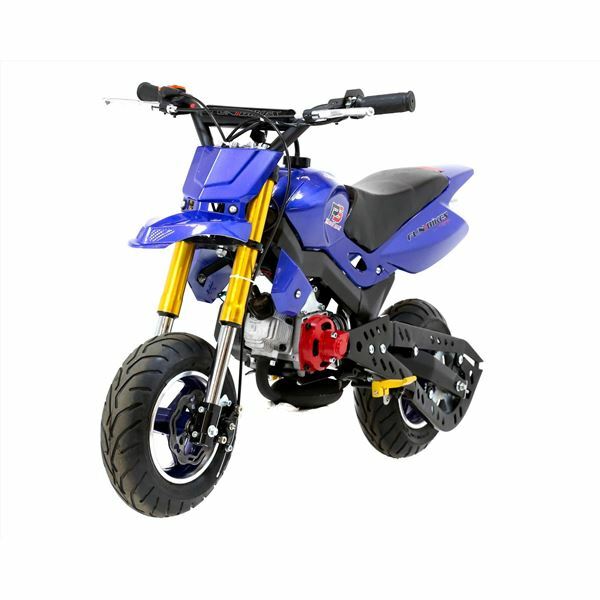 Being slightly bigger than a mini moto race bike, riders have the benefit of front and rear suspension, whilst sitting upright means more control and more fun! 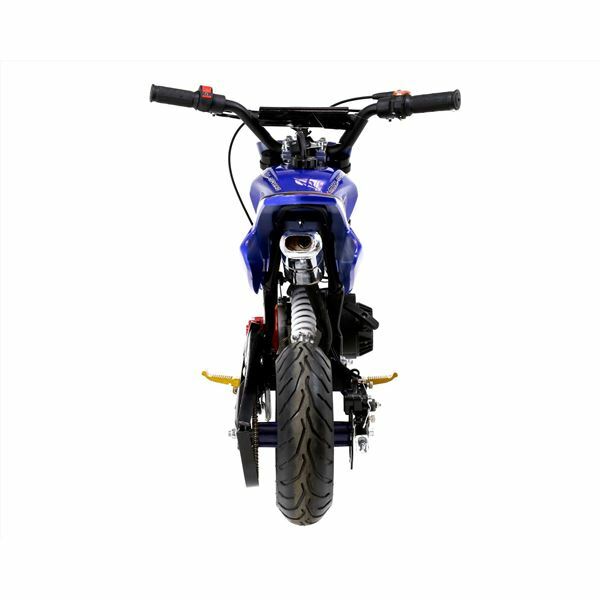 The engine is a standard minimoto unit, 49cc in size, and within our performance parts, we have dozens of modifications to supe up the power. In fact, our high compression head kit doubles the standard factory power output! 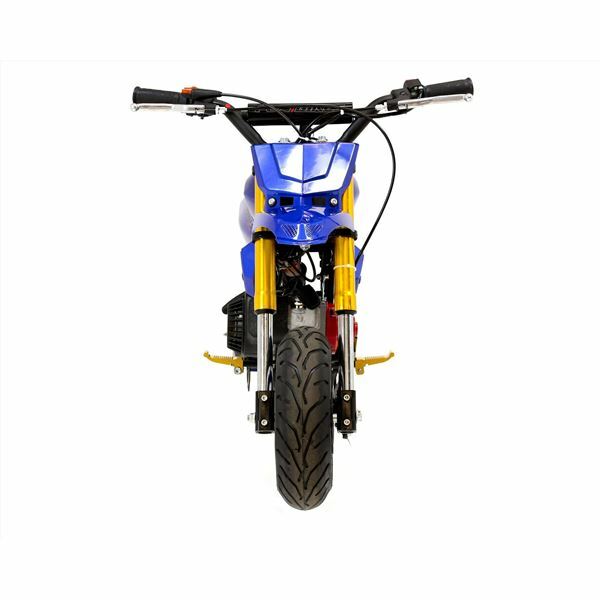 With mini moto racing now happening every weekend at dozens of karting circuits up and down the country, it’s only a matter of time before the Motard has its own racing series. 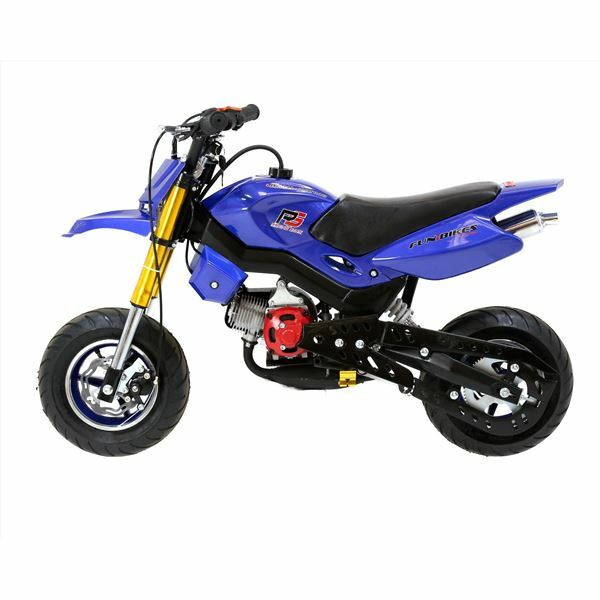 This FunBike Mini Motard gives you high-speed thrills with excitement and not forgetting the essential grin-factor. 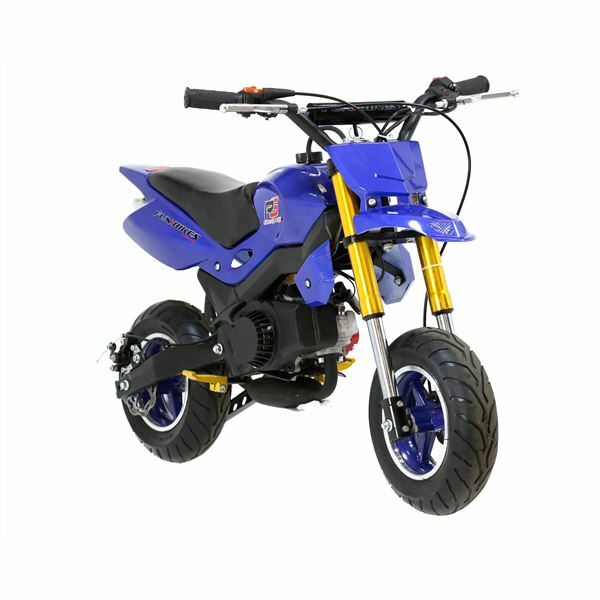 Despite the small size, it can be ridden by riders of all heights and can carry weight up to 65KG! 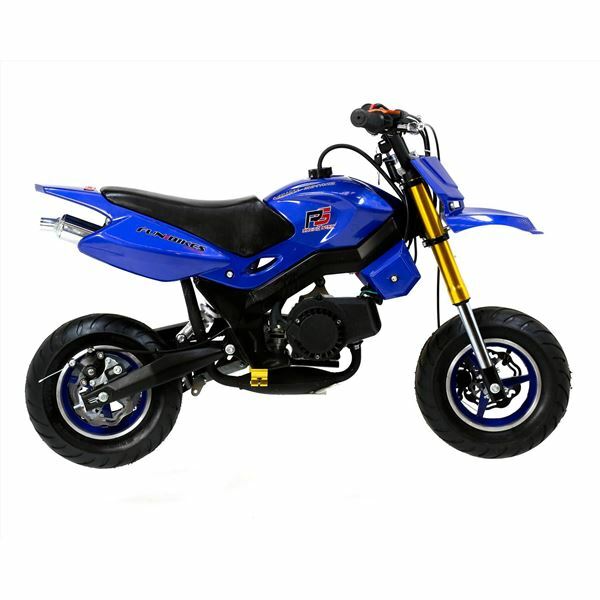 The FunBike Mini Motard has got to be one of the best fun products we have seen for a long time. 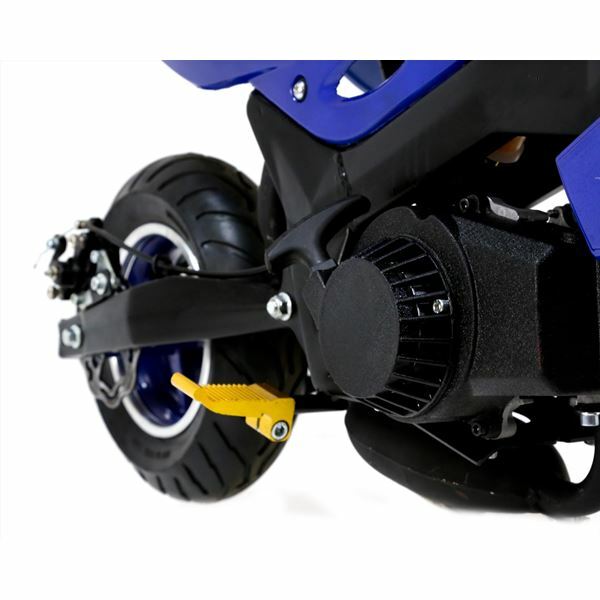 It’s easy to ride, simple to maintain and is an essential purchase for those excitement and thrill seekers everywhere. The bike may be tiny but ‘it’s massive fun! Overall Length 100cm, Width 57cm & Height 68cm. A seat height of 48cm. 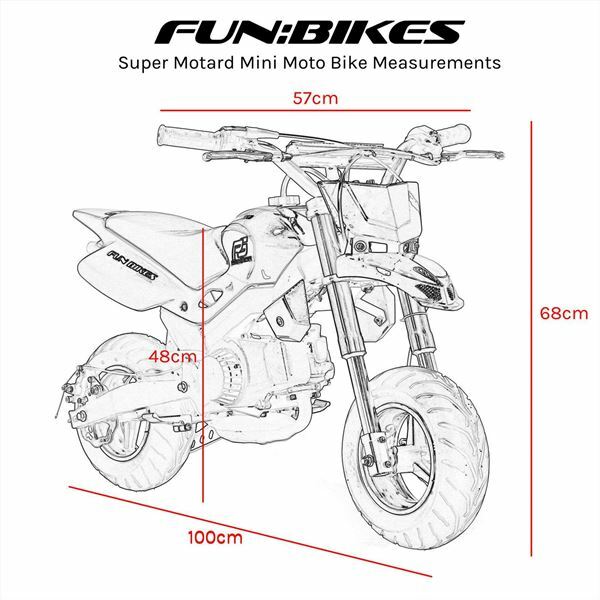 65kg max rider weight and a top speed of 30mph based on weight and terrain.